There is no district in downtown Dallas that is easier to get to, from or around than the West End Historic District. 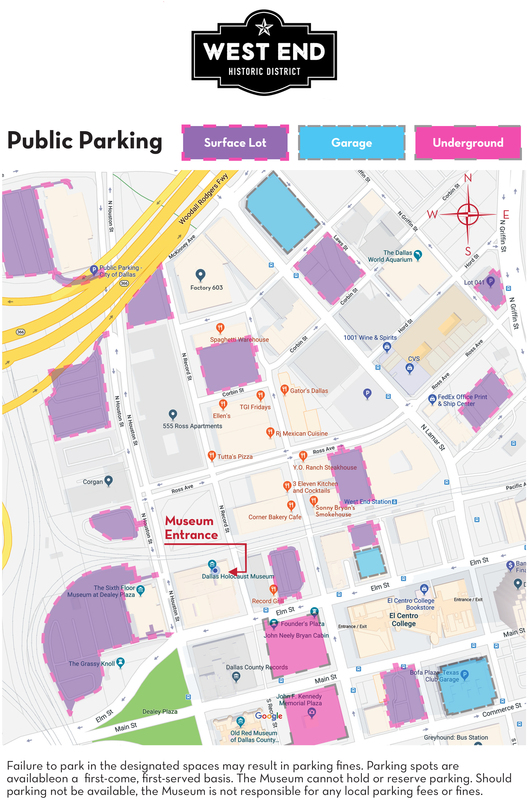 With ample parking, main streets, side streets and highways leading in and out of the West End, it’s the perfect part of downtown to get to, park, enjoy and exit easily. Like so many districts in larger cities, the West End Dallas is an ideal place to spend a long afternoon and evening OR to stop, shop, eat and then get on with your day. 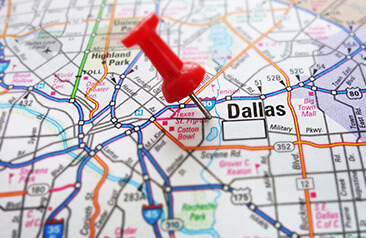 From the North via US-75 – Follow US-75 South to Woodall Rodgers Fwy North in Dallas. Take the exit toward Field St. Take N. Griffin St and Ross Ave to N. Record St.
From the North via Dallas North Tollway – Follow Dallas North Tollway South to North Stemmons Fwy. Take the exit toward Interstate I-35E South from Dallas North Tollway South. Follow North Stemmons Fwy and Continental Ave to N. Record St.
From the North via I-35E – Follow I-35E South to North Stemmons Fwy in Dallas. Take exit 429B from I-35E South. Continue on North Stemmons Fwy. Take Continental Ave and N. Houston St to N. Record St.
From the West – Follow I-30 East to Stemmons Service Rd in Dallas. Exit from I-30 East. Take Commerce St and S. Market St to N. Record St.
From the East – Take US-80 West and I-30 West to Elm St in Dallas. Take exit 47B from I-30 West. Follow Elm St to N. Record St.
From the South via I-45 – Follow I-45 North to Elm St in Dallas. Take exit 284B from US-75 North. Follow Elm St to N. Record St.
From the South via I-35E – Follow I-35E North to Commerce St/Commerce St Viaduct in Dallas. Take exit 428E from I-35E. Continue on Commerce St. Drive to N. Record St.